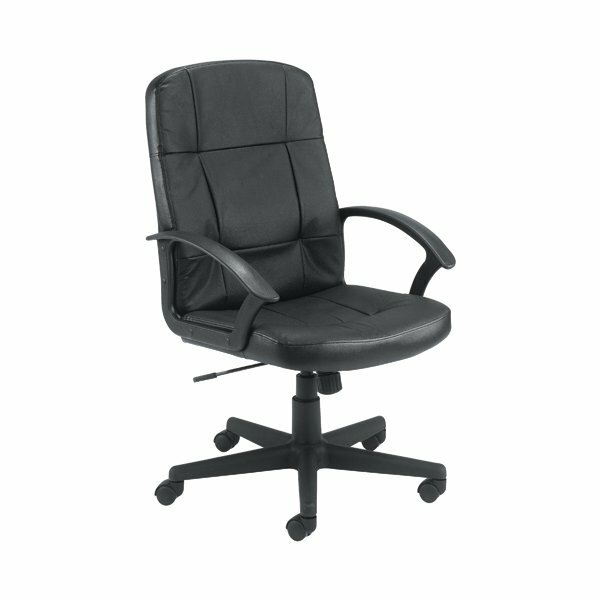 This Jemini Thames Leather Look Executive Chair features a lock tilt mechanism, which allows the user to adjust the seat height and angle via a single lever. The chair has a padded, leather look seat and back, and integrated armrests for comfort for up to 5 hours use. This chair comes on a five star castor base for mobility.